With only a few days to spare, the next set of free games have been announced. As usual, all games are available to play on Xbox One thanks to backwards compatibility. Both Xbox One titles are yours to keep as long as you have an active Gold membership, while the 360 titles are yours even if you drop to Silver status. Starting off the month for Xbox One is Assassin’s Creed Chronicles: Russia. The last of the side-scrolling Assassin’s Creed spinoff trilogy, which you should already be familiar with since the other two have been free in the past. The second half of the month provides the SMITE: Gold Bundle. A free-to-play game in the MOBA genre. This is simply a bundle of some of the micro-transactions for free. 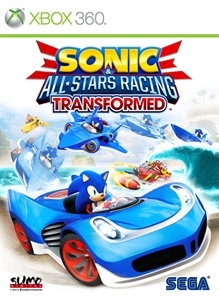 360 players will start the month with Sonic & All-Stars Racing Transformed. It’s basically Mario Kart for SEGA characters. The second half of the month will feature LEGO Indiana Jones 2. Another of the popular LEGO adventure titles. Sonic and the All-Stars cast line up on the starting grid once again to battle for supremacy in the ultimate race. It’s not just racing, it’s racing transformed! Fully Transformable vehicles which change from car to plane to boat mid race, each with their own unique gameplay. Over 20 legendary All-Stars each with their own transformable vehicle. A multitude of modes including Grand Prix, Battle Arenas and the incredible World Tour. Unleash ingenious weaponry and your character’s All-Star move to beat the opposition. Race up to ten players online, or challenge your friends in four player split screen. 16 dynamic tracks which challenge you on land, water and air. Take to the track and challenge your friends as your X360 avatar with its exclusive transformable vehicle. 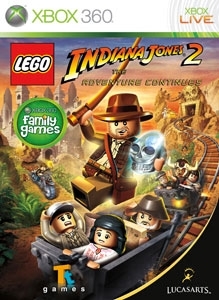 In LEGO® Indiana Jones™ 2: The Adventure Continues, play ALL-NEW levels from The Original Adventures and your favorite new moments from The Kingdom of the Crystal Skull… Or for the first time, create your own levels, for a true one-of-a-kind experience! New levels, vehicles and modes like 2-player split-screen, will let you build and battle your way out of trouble like never before!